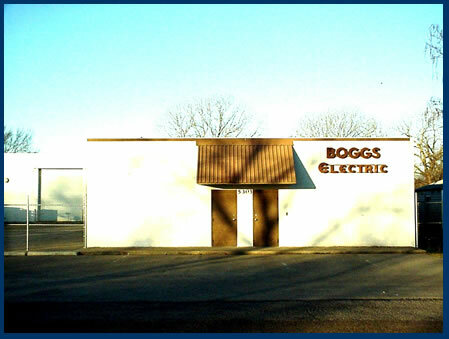 Welcome to Boggs Electric Co., INC.
Boggs Electric Co., Inc. was established in 1968 by Henry M. Boggs. The business was closed in 1977 and re-opened in 1984 by Henry M. Boggs and Michael Boggs. Michael Boggs became President in 1992. Boggs Electric Co., Inc. operates under the philosophy that we will treat our customers the way we want to be treated. We are committed to project quality, cost control, customer satisfaction, completing projects on time and within budget. We are proud of the reputation we have established through the years. Our reputation comes not only from our corporate officers, but from the commitment of our employees who take great pride in their work. We feel this is why the majority of our projects are from repeat customers. Honest prices along with quality people set Boggs Electric Co., Inc. apart from its competitors.